BAGUIO CITY – The heirs of the recognized claimants of a 195-hectare land in the city petitioned the Regional Trial Court (RTC) Branch 5 in Baguio City to cite Sta. Lucia Realty and Development, Inc. in contempt for allegedly openly defying and disobeying the January 7, 2019 order of the environment court ordering the latter to cease and desist from pursuing the development of its golf course project. 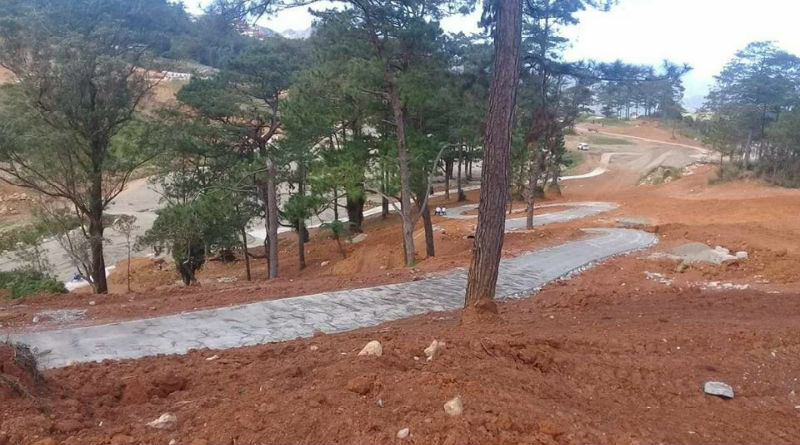 In a 5-page petition, lawyers Noel Magalgalit and Jansen Nacar claimed that their clients, who are the heirs of Tunged, the recognized claimant of the property affected by the golf course project, received the Temporary Environment Protection Order (TEPO) issued by the court on January 7, 2019 and upon witnessing the presence of earthworks and excavation activities in the area, they sought the assistance of Asin barangay officials notified Sta. Lucia of the said order by the court. However, the petitioners disclosed that officials of the developer alleged brushed aside the order and told them that only the sheriff of the court could stop them from their ongoing development activities in the area. The petition underscored the continuous defiance by Sta. Lucia of the cease and desist order despite having been informed on the matter prompted them to file a motion to cite respondents in contempt on January 14, 2019 which was withdrawn in a motion on February 1, 2019. On January 16, 2019, Sta. Lucia filed an opposition to the motion to cite private defendants in contempt, reasoning that they have not received a copy of the order dated January 7, 2019 and further stated that they do not wish to defy the court order and that the company will obey the same as soon as the order is properly received. The petitioners alleged that despite personal receipt of the order dated January 7, 2019 on January 18, 2019, earthworks and excavation activities by the company still continued in the area without justifiable reasons and that Sta. Lucia defiantly and contumaciously refuse to cease and desist from their works and continuously disregard the January 7, 2019 court order. According to the petition, a certain Engr. Ernesto Abrasaldo and Julius Amistad, acting on behalf of Sta. Lucia, are continuously asserting that only the sheriff of the court can stop them and to date, Sta. Lucia is continuously operating their bulldozers and dump trucks, necessarily causing destruction at the subject property. The petitioners attached to their complaint updated photographs of the company’s ongoig earthworks of the company taken on separate dates after the issuance of the TEPO to show their wilful defiance of the same. The petitioners argued Sta. Lucia’s open defiance o obey the January 7, 2019 environmental court order signifies that only wilful disregard or disobedience of the court’s order, but such conduct which tends to bring the authority of the court and the administration of law into disrepute or, in some manner, to impede the due administration of justice, thus, constitute contempt under applicable jurisprudence and the rules of court.